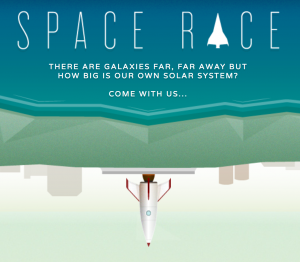 SUMMARY: The website is designed to answer the question ‘how big is space?’ Embark on a journey through space to the very edge of our solar system. As you do so, you will pass a variety of things including commercial helicopters, weather balloons, the space station and even the moon. TOP TIP: Give children time to explore this website, following this up with a discussion of their findings.